Forget feedback and bass booms. Fix the problem at the source. You need a good microphone. Professionals like Tim McGraw, Snoop Dogg, ZZ Top, and Counting Crows use these Telefunken microphones when they perform in studios andlive for audiences around the world. Let’s look at both models and see which one will be best for you. Telefunken Elektroakustik started up in America in 2000. 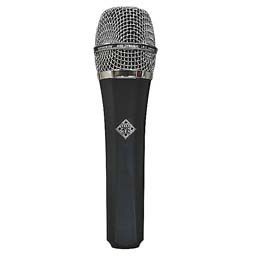 The Telefunken M80 came out as a new product in 2008. It was nominated right away for a TEC (Technical Excellence and Creativity) Award in 2009. 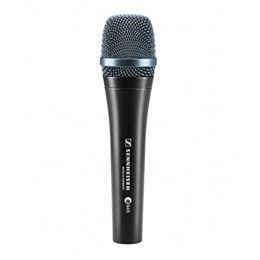 Although it is a cardioid microphone, it behaves like a condenser because it has a wide frequency response (30Hz to 18kHz) and it can handle SPL up to 140dB. That means this mic is sensitive enough for studio recording and powerful enough for rock band stage shows. 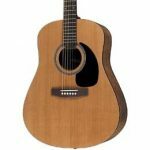 It handles voice and instruments equally well. The M80 has features which are great for avoiding distortion like booms and feedback. 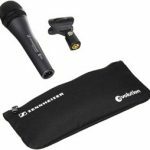 There’s less proximity effect on this mic, so there’s less uncontrolled bass boost, even if the vocalist or musician keeps it up close as they perform. 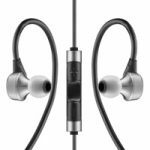 The amount of honk, or midrange feedback, is also reduced on the M80 compared to similar dynamic mics. Made for comfort and durability, the 7-inch long handle is ergonomically designed and feels good in the hand. It weighs only 13 ounces. The head grill is nice and sturdy. Besides color, the only differences between the M80 and the M81 are output impedance and sensitivity. The sensitivity on the M80 is slightly higher than on the M81, 1.4 versus 1.0 mV/pa.The M80 is rated at 300 ohms, just 50 ohms more than the M81.Both of those are low for this kind of mic, so keep that in mind when connecting them to an input so there’s no loss of signal strength. Less impedance means better-sound in higher frequencies, so now let’s look at the M81. It’s rated for less than 250 ohms, a bit less than the M80. This makes sense because the M81 is the newer version of the M80 dynamic mic. This time it’s an award-winner. 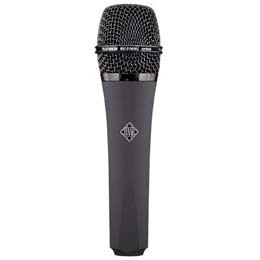 At the TEC Awards in 2013, the M81 won in the category of microphone technology and sound reinforcement. This mic also reduces proximity effect to keep bass sounds from too much boom. It reduces feedback noise, too. But, as Telefunken explains it, the M81 pulls back the top end. This means that there is a flatter frequency response. To translate: horns and percussion sound richer and vocals have less shriek. This means this microphone is truly universal and can be used for singers just as well as instruments. The only issue might be for singers who lack low range and need the proximity effect to compensate. Remember that this is a low-impedance mic (>250 ohms), so it needs to be connected to an input with the same or greater impedance to avoid signal loss. If you have the AR-51 mic already and want a matching set, go with the M81. The M81 has a few sound enhancements over the M80 that an audiophile will appreciate. If you have brass and percussion, this mic will work especially well for you. 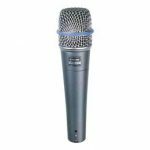 If you want a great dynamic mic for diverse types of performances, the M80 would be a great choice, as it has been for many performers for almost a decade. 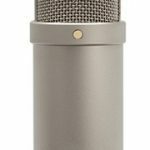 Click here to purchase Telefunken M80 on Amazon! 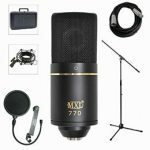 Click here to purchase Telefunken M81 on Amazon!